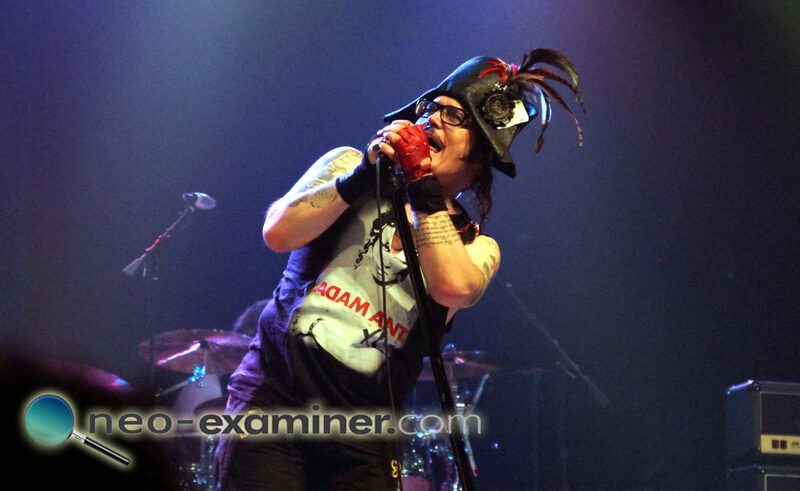 Five Reasons You Must See Adam Ant Live ! One of our all time favorite artists, a must see concert ! 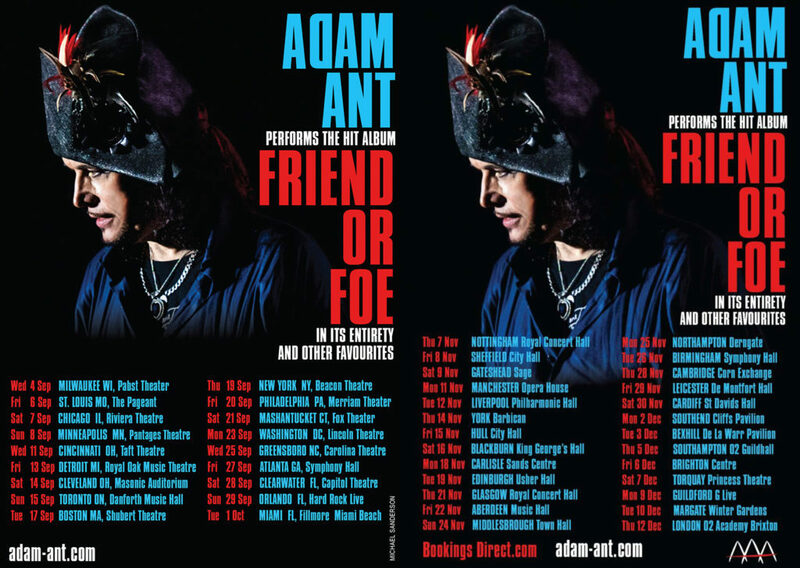 In honor of Adam Ant announcing both a UK and US Friend or Foe tour we decided to list the five reasons you must see Adam Ant live ! There are few artists alive who have had as many popular and got songs ,even less is the number of artists who are touring to play those hits . ” Prince Charming ” has turned up in many a TV series and movie along with his plethora of other hits .It is the stuff of legend . Adam puts his 100% effort into every show ,with the duel drummers and approximate show time of two hours it is a show not to be missed .He plays guitar ,sings and dance all along while teasing the audience.He is not just an singer but a true performance artist . Adam s band is a tight knit unit ,many of them have been with him a very long time .Duel drummers Jolo and Andy Woodard, bassist extraordinaire Joe Holweger ,and on guitars AP Leach and the talented punk rocker Will Crewdson . it actually costs less to see an artist perform all their songs live compared to buying all the discs or downloads and life is about memories .Do you really remember all those coffees you had at Starbucks or that time you saw a concert with your friends,memories are priceless . Take yourself back to a time when mortgage didn’t matter , taxes where of no concern and you could dress or be who you want .MTV played your favorite songs and you could ” Stand and Deliver ” what ever you wanted .